BEIJING • A riddle, wrapped in a mystery, inside an enigma. That was how British statesman Winston Churchill described Russia, but it also fits China, which has risen astoundingly in just over three decades to become the world's No. 2 economy. To make sense of this riddle, this country so full of contradictions, many have resorted to simplifying things by using broad labels: China is Communist and authoritarian; its people are repressed and reticent. But the Middle Kingdom, with a massive population of 1.4 billion, is actually extremely diverse and far from a monolith. It has a culture more complex than outsiders imagine or populist nationalists imply. In the three years I've lived and worked in Beijing, I've come to realise that China cannot be easily categorised and any attempt to do so would only be counter-productive. It is in the grey areas, in the tangle of fascinating contradictions, that the country truly comes alive. China frustrates by being both Communist and capitalist. It has tightened party control over state firms but yet is championing a bigger role for the markets in its latest economic reforms. While Beijing is said to have a heavy-handed approach to maintaining social stability with a domestic security budget that eclipsed its defence spending as recently as 2013, tens of thousands of mass protests and demonstrations take place every year by citizens agitating fiercely for their rights. China stopped giving overall domestic security figures in its annual budget from 2014. Chinese society is also far more varied, dynamic and complex than the recurring issues, such as human rights, that hog the foreign media headlines seem to suggest. The plight of dissident artist Ai Weiwei, for instance, is always given play, but little is written about civil society groups, be it child rights activists or disability advocates, that are making a difference on the ground. Not all sing the tune of blind nationalism. There are critical voices too, such as that of one of China's best-known retired diplomats, Mr Wu Jianmin, addressing the country's "hawks" who tout military confrontation to deal with territorial disputes with other countries. Then there are those who speak out against what they say is a deteriorating business climate that unfairly targets foreign firms with opaque laws and rules, making it increasingly difficult for them to operate. Far from being a reserved bunch, the Chinese are outspoken, opinionated and passionate. The country's young people and growing ranks of middle class are also increasingly well travelled and well read - and they are highly optimistic about their future. And perhaps most importantly, most are fully aware of the imperfections of their political system and the social injustices that occasionally come with these. 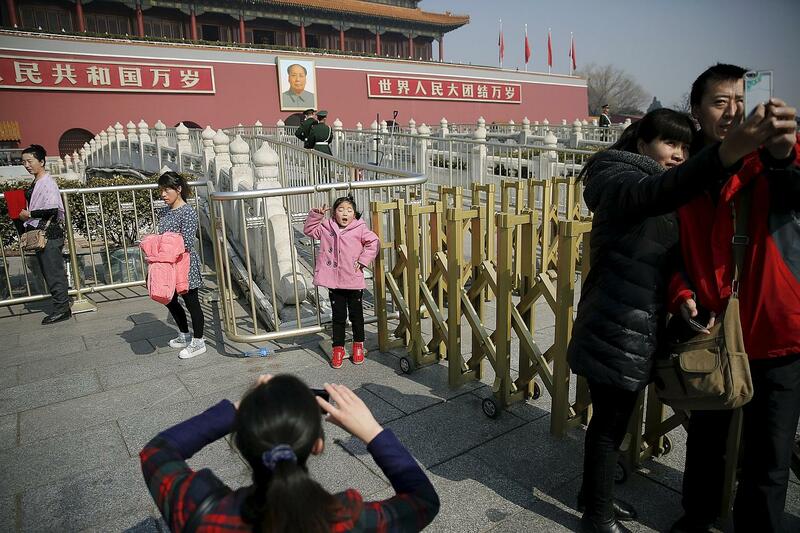 Still, many are willing to live with the status quo for now, accepting the trade-offs that have come with a regime that has afforded them stability (post-Mao Zedong, at least) and rapid economic growth, which has lifted hundreds of millions out of poverty. A friend from north-western Shaanxi province explained that after about 4,000 years of living under imperial rule, the acceptance of centralised government has been deeply ingrained in the psyche of the Chinese people. Change will come with better checks and balances on power in the future, she expects, but with the history of modern China only beginning after the fall of the Qing Dynasty in 1912, she believes it cannot be rushed in the broader context of China's ancient history. In some ways, these chats with my Chinese friends remind me of my own experience of defending Singapore from annoying over-generalisations. The city state, similarly, is often the subject of snide remarks by the West. But Singaporeans will know that while our system is far from perfect, broad-brushing it as "repressive" or "authoritarian" is a simplistic reading of the country's political environment. And it is ignorant to assume that there is no stirring for change. Likewise, the Chinese know best the failings of their system and do not need patronising foreigners telling them how they are pitiful victims of an unfair rule. In their own way, they are already pushing boundaries and challenging the status quo. In a defiant move against the government, for instance, influential Chinese financial magazine Caixin recently exposed Beijing's censorship of one of its articles in a story that is illustrated with a photograph of a mouth that is gagged with masking tape. Netizens have found subtle ways around the Great Firewall - or China's Internet censorship infrastructure that scrubs out what the government perceives as inflammatory or seditious material - cleverly outwitting Beijing's censors by creating a lexicon through the use of puns in order to discuss forbidden topics such as the bloody Tiananmen crackdown and political dissidents. For example, a mythical creature grass-mud horse - or cao ni ma in Mandarin - is a Chinese Internet meme widely used as symbolic defiance and ridicule of China's draconian censorship practice. The phrase sounds like a vulgar Chinese insult. And so, while the Chinese are often criticised as imitators, I've found them to be creative individuals, surviving - even thriving - in a world of censorship, by developing a sense of humour in which sarcastic wordplay forms part of the perpetual cat-and-mouse game between censors and Internet users. Some of the most innovative smartphone apps I've used have also been developed in China. Wechat, for instance, is the mainland's version of Whatsapp but it goes beyond being just a messaging app. It taps into your smartphone's global positioning system, microphone and camera to let you play games, check in to a flight, identify a song, make a booking, call a taxi, pay bills, you name it. The new reality is that China is no longer just copying Western start-up ideas: Smartphone app clones are now just the starting point, not the end. Indeed, China is complex on a scale that is hard to wrap one's head around. But simplistic perceptions of the country and a cursory reading of its immensely diverse views and issues by peoples of other nations - those who help shape public opinion and, in turn, policy - would be a disservice to all. Diplomatically, this raises the risk of misjudging intentions, as pointed out by China's parliamentary spokesman, Ms Fu Ying, in a commentary in the Huffington Post last year. 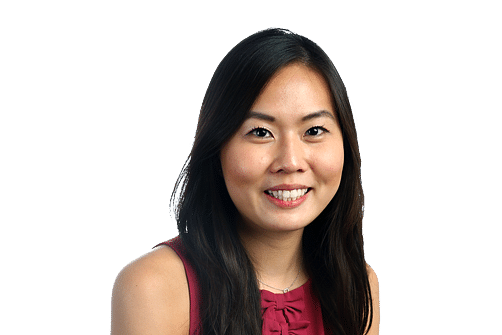 In it, she flagged the risk of Beijing and Washington misreading each other as both had different cultural traditions and political histories that led to each country viewing and judging the other from their own perspective. "(But) many of the misunderstandings can be cleared through greater knowledge and more effective communication," Ms Fu said. And so while China must learn to articulate itself better, more can also be done by those outside to understand its complexities so as to prevent a world where Chinese interests are always seen as running parallel to the West's, with the two never seeming to converge. • Esther Teo ends her three-year China posting on May 28.